Be ready for any party action term 4 throws at you in our Craig Raglan Sports Polo. Soft, moisture wicking cotton back makes this polo an everyday winner. 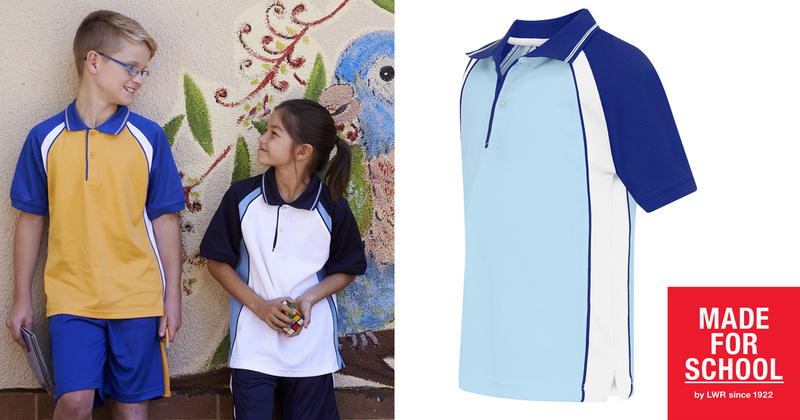 Shop all your school uniforms online at Made For School.